The Evergreen School of Performing Arts, a non-profit 501(c) organization, was started in 1984 by the twin sisters Helina Leino-Pakola, concert violinist, USA and Hilpi Leino-Kantola, concert pianist, Finland. (Both educated at Sibelius-Academy, Helsinki, Finland). The chamber orchestra "The Singing Strings" performance group is part of Evergreen School of Performing Arts and is comprised of students ranging in age from 9 - 15. The school was organized in Northern Minnesota - Iron Range and moved to the Edina area in 1996. The school has been at the Edina Community Center for 10 years and is in the process of finding a permanent location in Edina. 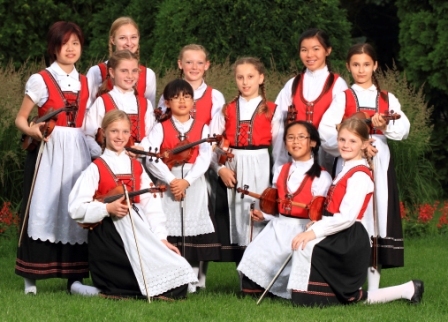 Part of the school's curriculum is Scandinavian ethnic music and Swedish/Finnish languages. 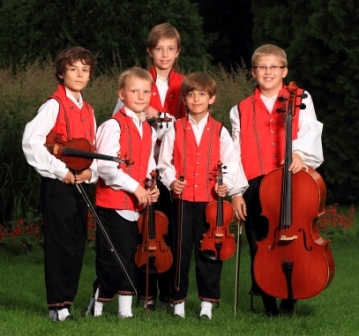 The Finnish influence on the Evergreen School of Performing Arts is strongly reflected in each performance of "The Singing Strings" which includes Finnish, Scandinavian, classical and folk music. Through its 24 years of existence, "The Singing Strings" has had the opportunity of numerous concert tours. They have performed in Russia, Finland, Sweden, Austria, Australia and the USA. Highlights were performances at the White House for Bill and Hillary Clinton, opening ceremonies of the Finnish Embassy in Washington D.C., Fourth of July celebration at the U.S. Embassy in Finland, Atlanta Olympics and Roots in Finland opening ceremonies. "The Singing Strings" have performed for 10 Finn-Fests, including in Los Angeles and are considered Good Will Ambassadors of American and Finnish cultures. In Minneapolis they have performed for Minnesota Orchestra's Summer-Fest concerts, Sibelius-Copland concert and during the visitation performance of the Lahti Orchestra from Finland.